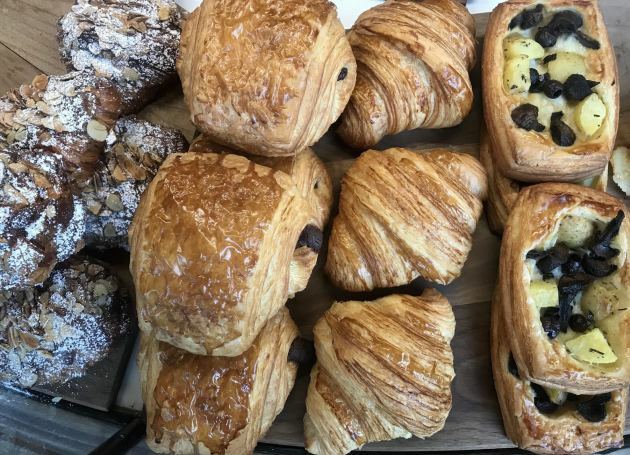 Uptown Minneapolis is getting a bakery, and it’s got an impressive pedigree. 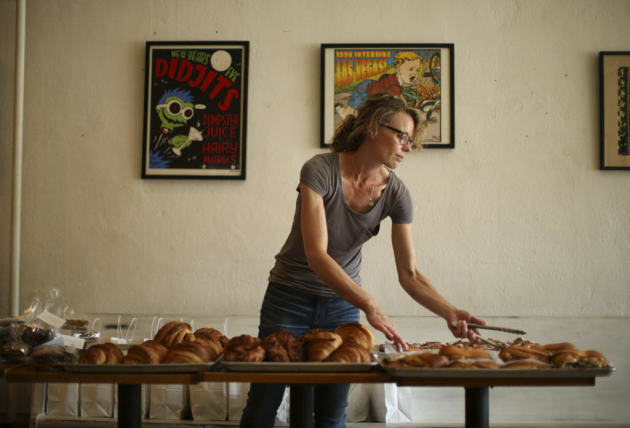 Sarah Botcher, the gifted baker (pictured, above, in a Star Tribune file photo) who supplies the exceptional goodies to all five Spyhouse Coffee shops in Minneapolis and St. Paul, is opening her own bakery/cafe. 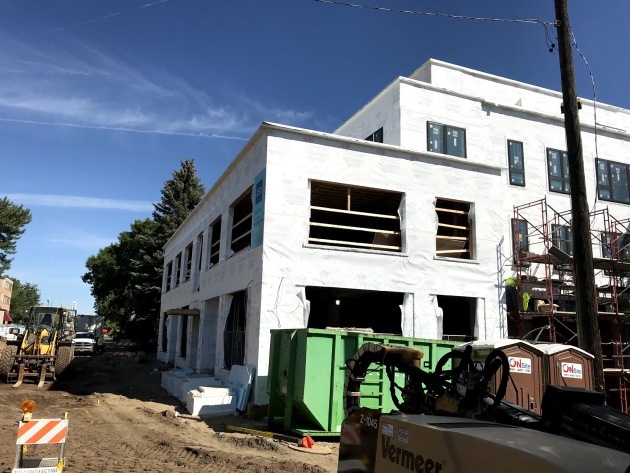 When it opens next spring, Black Walnut Bakery will occupy the prime corner spot in a new retail-office-apartment project that’s currently under construction by the Lander Group at Hennepin Av. and 32nd St.
She’s excited about opening in the neighborhood, and not just because she lives in the area and will be able to walk to work. It’s also not lost on Botcher that her bakery is going into a space (pictured, above) that’s a block away from the former Lucia’s, where Lucia Watson and her successors operated a popular bakery/cafe for more than a decade. Black Walnut started in 2013 as a stand at the Minneapolis Farmers Market on Nicollet Mall. Botcher segued to Saturday morning pop-ups at One on One Bicycle Studio in the North Loop in 2014, and a year later she was supplying all the baked goods for both One on One and all Spyhouse Coffee shops. She’ll continue her wholesale baking ventures. Amazingly, Botcher has been a one-woman show for most of her Black Walnut tenure (here’s how hard she works: her last day off was in February. “You can sleep when you’re dead,” she said with a laugh). The part-time employee Botcher hired last year was replaced this past winter by a full-timer, Nick Laurent. For the brick-and-mortar Black Walnut, the plan -- aside from hiring more employees -- is to continue producing the croissants (the almond version is a top-seller for a reason, and she’s currently turning out a bacon-sauerkraut version that has to be tasted to be believed), scones, kouigh-amann, cookies and other goodies that have forged a loyal fan base at Spyhouse (pictured, above) and One on One. Layer cakes, sold by slice, will become a major part of the business, along with a long range of special-order options. Which is why she is also promising pies. Tarts, primarily, but also seasonal fruit pies and holiday pies, available whole and by the slice. She’s planning a savory side as well. On the subject of kitchens, after several years of baking in a communal commercial space in south Minneapolis, Botcher is looking forward to finally have a workplace that she can call her own. Botcher said that she’s happy to be part of a Twin Cities bakery boom.